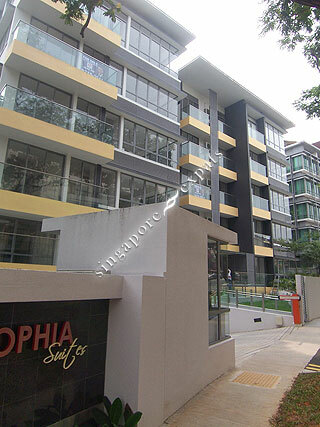 Mount Sophia Suites is an exclusive freehold condominium located atop Sophia Road, off Selegie Road. Nestled in the most coveted residential enclave, Mount Sophia Suites is an artfully crafted 5-storey residence. A modern sanctuary designed for peace and tranquillity, while at the same time, being right in the heart of the city. Beneath the distinctly contemporary exterior of Mount Sophia Suites, lies an ambient demeanour meticulously tailored for the exclusive few. Each unit at Mount Sophia Suites exudes elegance from the finest fittings to a fully equipped kitchen. Designed to optimize living space, the interiors are stylishly selected to reflect a balance of function and comfort that is truly unique to Mount Sophia Suites. At each apartment in Mount Sophia Suites, the built-in appliances by De-Dietrich and Electrolux please the most discerning owners. Offering durability and innovation technology, everyday cooking experiences and effortless and efficient. Designed to accommodate a variety of activities, the sleek bath fittings by Hansgrohe and Duravit are the perfect blend of flair and versatility. Unwind and rejuvenate in splendour amidst a spa-like retreat at Mount Sophia Suites. At Mount Sophia Suites, embrace the long forgotten art of relaxation and enjoy the wonders of nature in an enticing retreat, where the senses are indulged. Revitalize oneself with a workout at the gym, a refreshing dip in the pool or a soothing respite from the city in the immaculately landscaped garden. With Orchard Road just outside the doorstep of Mount Sophia Suites, nowhere else is so accessible from the living space and with such ease and abundance. Discover what is like to live in the city's heartbeat. The glamour of Orchard Road and the buzz and excitement of the business district lie just beyond the boundaries of Mount Sophia Suites. Mount Sophia Suites is a stone's throw away from the Dhoby Ghaut MRT Station which ensures quick accessibility to the Central Business District (CBD) and the rest of Singapore.